We last had an album (her debut) from Izzy B almost three years ago now, and as time has passed, Izzy's music has matured. This is recorded in a studio with some professional production influences. I was almost critical about her first album because of the recording quality, but that did give it a charm. This has retained the charm, but taken away chance of criticism. The album starts with the punchy "Rocks". Just when you think the album is like the last, the bass line comes in. A second ukulele line adds some nice accents. My favourite track - "Pretend" adds in some bass notes and a what sounds like a synth choral background. But, like all of the other tracks, none of the additions are overpowering, just perfectly balanced. This is what good recording and production is about. I've learned that production is a very special skill - in my own multitracking, I get carried away and overdo things. Not here. "Turn On The Lights" is a masterpiece. If this doesn't get used as background music for some BBC drama, I'll be surprised. So atmospheric and haunting. There are separate movements and phases in this track, compositionally almost Pink Floyd or Queen/Bohemian Rhapshody 'esque. Overall, the album is a good mix of simple ukulele tracks with some epic compositions, apparently it's been a couple of years in the making and a good job has been done of it, too. Izzy has a powerful and clear voice, none of that is lost in the mix. Now, I'm going to have to compliment Robin Evans. The two of them wrote and recorded the bonus track in a hotel room at GNUF'18. The resultant track is a superb song, you could imagine this song doing very well in the charts. Brilliant percussive ukulele and interaction between these two. The album artwork is very clever, too, but you can get the album yourself to see that. Find Izzy on facebook, buy her CD when you see her. 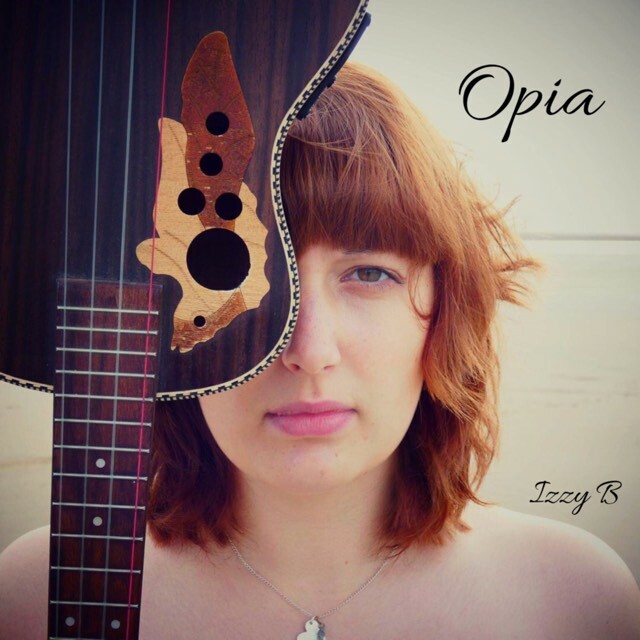 Izzy B is launching the album at the world famous unplugthewood on Tuesday 16th of April, come along if you can, meet the artist and buy her album. "Opia" means "the ambiguous intensity of looking someone in the eye, which can feel simultaneously invasive and vulnerable"
- that's one of my cat powers.